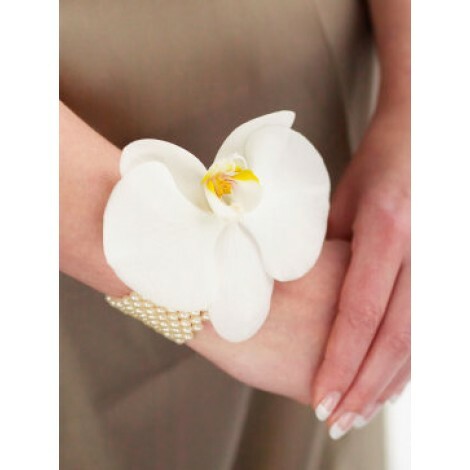 For the ultimate in elegance and grace this exquisite orchid with pretty pearl band makes a stunning wrist corsage. The pure white of the orchid will complement any colour dress perfectly. 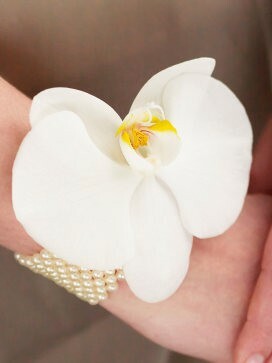 Featuring a single white orchid set on an elasticated pearl bead wristband.